1. What is the Tioga United Way? 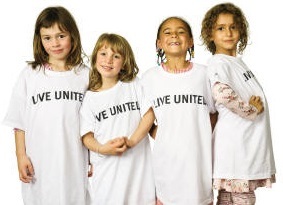 Tioga United Way was incorporated as a non-profit corporation in the State of New York in 1956. It is registered with New York Secretary of State’s Department of Charities. It has been determined by the Internal Revenue to be a 501(c)(3) organization for tax deductible giving. 2. What is the Mission of Tioga United Way? TUW’s Mission is very simple; Providing Hope and Opportunity for Our Community. 3. What is the Vision of Tioga United Way? TUW’s Vision is to be a leader in developing the capacity of our community to care for people. We will provide for our community’s changing needs through the donors, volunteers, staff and service providers working together as the heart of a compassionate system. 4. Is TUW really local and independent? Yes; we have our own by-laws, board of directors, and an Executive Director who reports to the Board President. TUW cooperates with neighboring counties but is not responsible for their decisions or policies. 5. How is Tioga United Way related to United Way Worldwide? TUW, like United Ways in most counties in the United States, is an independent corporation (not a subsidiary). Most of these county United Way organizations pay a small annual fee ($1000 - $2000) to UWW for use of the name, logo, and benefits of national advertising, sale of campaign items, and the work done among top corporations to promote local giving. We are not governed by UWA rules or decision, although we endorse and comply with UWW’s emphasis on open, honest accounting of receipts and disbursements. 6. Does TUW receive donations outside Tioga County for use here? Yes; TUW receives donations by individuals and organizations throughout New York and the United Sates, including other United Ways. Some of these donations are dedicated to TUW’s partner agencies; others are designated to specific agencies in Tioga County. TUW also qualifies and chairs the National Emergency Food and Shelter Program (EFSP) in Tioga County, which receives and allocates significant annual funds to Tioga County agencies providing food and shelter services. 7. How do we know what agencies do with the moneys they receive? Since it would be difficult for all of the agencies to present their work and needs to each of the many individuals and workplaces in the county, and since potential donors cannot reasonably interview and investigate each of the agencies, United Way fulfills these certifications in processing annual applications to TUW by agencies that serve Tioga County residents. 8. Does money I give to Tioga United Way go to other areas? Allocations are distributed only to the thirty-four agencies that serve Tioga County residents. Funds awarded to agencies serving multiple counties may be used only for services in Tioga County. 9. How much were the total donations last year? Total income to Tioga United Way by the campaign for 2015-2016 by cash/check donations, pledges, local and out-of-county designations, was approximately $205,000. Our goal for our 2017-2018 campaign is $210,000. 10. How does Tioga United Way ensure that donated funds for each campaign year are actually paid out as intended? Records of donor identity and the amount and type of donations are maintained on the TUW donor management system, which reports totals of designations and contributions. Daily receipts are entered into TUW’s Quick Books accounting software, along with check number, amount, donation type, and campaign year. Incoming funds are deposited weekly into our dedicated accounts for quarterly disbursement to our partner agencies. 11. How can I donate to Tioga United Way? TUW and other United Ways conduct an annual giving campaign, traditionally during the fall. Workplace campaigns can be scheduled for other times of the year that work best for a particular company. The campaign is conducted at workplaces within the county, and includes direct mail and open giving opportunities among individuals and organizations. Workplace giving can be cash, check, or pledge payroll deduction which is fulfilled during the following fiscal or calendar year. Individuals and organizations may also contribute by cash or check directly to TUW at any time. 12. Can I get a receipt or an acknowledgement for my donation? Yes; TUW will provide a receipt for donations or designations upon request. TUW will also send donor names and addresses to agencies receiving designations when requested by donors. 13. Does Tioga United Way ever give to non-member agencies? Yes. Although infrequent, TUW will give a special allocation, for example, to food pantries who are not partner agencies.